The gentleman had spent almost a week with bullets on his body. He was shot in Mamfe by Cameroon’s defense forces on June 20, 2018. Like many other victims who take the risk of living the bushes to, visit their homes the survivor was targeted Cameroon soldiers. 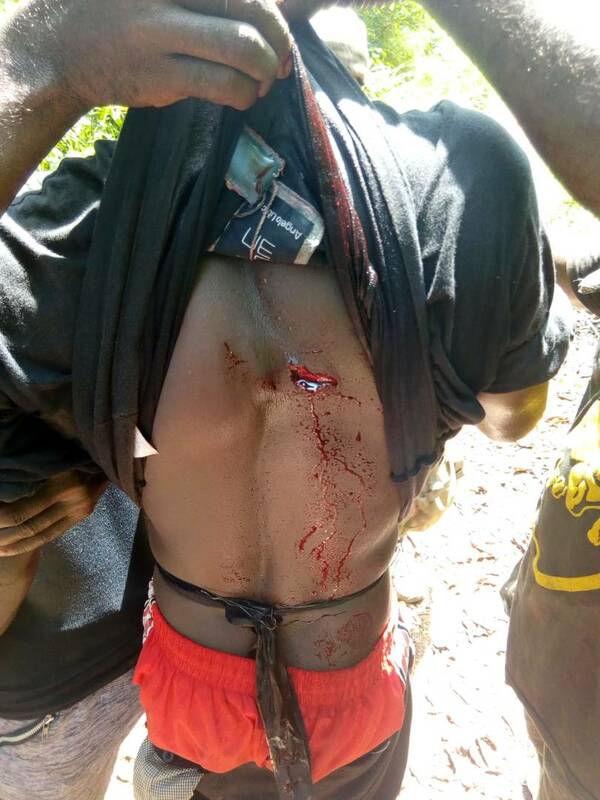 With a rope tied round his waist to reduce bleeding, the victim was immediately rushed back into the forest. This is so because even those who survive bullet wounds in the ongoing conflict in Southern Cameroons are not safe to receive treatment in local and especially government hospitals for fear that the military could chase, abduct and kill them. Through one of the frontline activists Mafac was contacted. Mafac’s medical relief team provided the funds and the bullets were pulled out from the injured Southern Cameroonian. The Mafac grant to this victim also included package for feeding while he takes his drugs.